The Shangri-La Hotel in Bangkok, Thailand was the location for the 'Alice in Wonderland' corporate party. A month beforehand, Tuscany Flowers sent a container with various accessories. 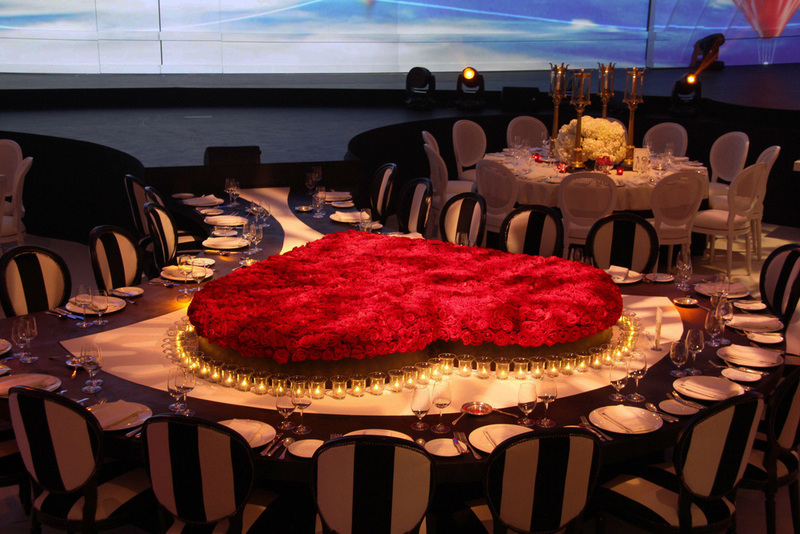 Finally, a week before the event, 18000 fresh roses from Holland were delivered to complete the spectacle. Around the ballroom we placed, topiary plants and huge cages with candle lights. The decorations included hearts, aces, clocks, golden and crystal chandeliers, rabbits and characters from this fantasy world. Live models in costumes and 3D Alice in Wonderland projections made it a must see event!